The moment I first discovered An Anonymous Girl by Greer Hendricks & Sarah Pekkanen, I knew I HAD to read the book. 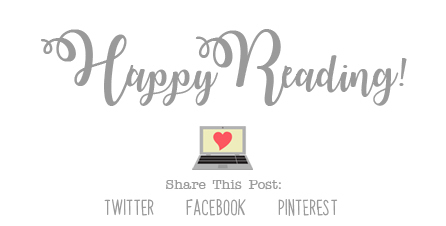 I read their first collaboration, The Wife Between Us, last year and enjoyed the story SO much, and I was so curious to see what new story would come in this new book. I have to say, these two authors really know how to write, and this book had me HOOKED! Let me start this by saying that I LOVE a good book that keeps me guessing. Since I read so much, I often times manage to figure out a plot very early on in a book, which can get old after a while. That did not happen with this book. It totally kept me guessing as I flew through the pages, and I was suspicious of every single character along the way. Not enough books keep me guessing, and I love when one actually does! An Anonymous Girl is full of interesting characters, including the main character, Jess. I found myself relating to Jess more than a few times throughout the story, as I, too, sometimes feel like just another anonymous girl. I definitely felt the same paranoia that she experienced as the story went along, though had I been put in her shoes, I would not have handled things nearly as well. Dr. Shields was such mystery, I never knew what to expect from her, and she definitely freaked me out more than a few times as the story went along. This book is full of completely fascinating characters, and everyone was a suspect. The storyline for this book was absolutely addictive. It was intense and mysterious, and kept me on the edge of my seat as I flew through the pages. Did I mention already that I love a book that will keep me guessing?? I do. And this book totally did that. I found myself wondering what in the world was going on in the story, and what was going to happen next. So many secrets. So much mystery. Ah, I loved it! Overall; I do believe that Greer Hendricks & Sarah Pekkanen have yet another hit on their hands with An Anonymous Girl! I very much enjoyed this story, and I really, really hope that these authors continue to write more books together in the future. 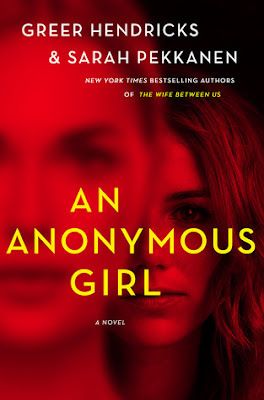 If you’re looking for a good mystery thriller to read, do check out An Anonymous Girl, and The Wife Between Us as well! Both books are really great. I love books that keep me guessing, too! I actually just purchased THE WIFE BETWEEN US and can't wait to read that one, too.